A leg lifting device can be very helpful when you have limited mobility or strength in one of your legs. With the use of the tool, you can more easily get the affected leg onto a bed, into a chair, or lift the leg in any direction. 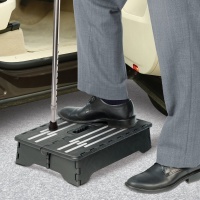 While most of these gadgets are hand-operated, we also carry the Mangar electric leg lifter. 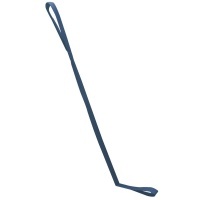 Size: 10" x 15" x 7"
Designed to help maintain the "pelvic tilt" position to gently ease stress on the spine. Offers consistent support and lasting comfort. 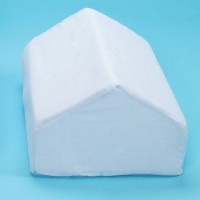 Made from polyurethane foam with washable white polycotton cover. Size: 10" x 15" x 7".